Chris Waddle has ruled out Arsenal finishing in the top four this season after their 3-1 loss to Manchester City in the Premier League on Sunday. Sergio Aguero hit a hat-trick at The Etihad as Manchester City went on to claim a comprehensive victory in front of their home fans despite Laurent Koscielny’s equaliser in the first half. The result has dealt a blow to Arsenal’s hopes of finishing in the top four this season as it left them sixth in the table and three points behind fourth-placed Chelsea FC with 13 games left to play. 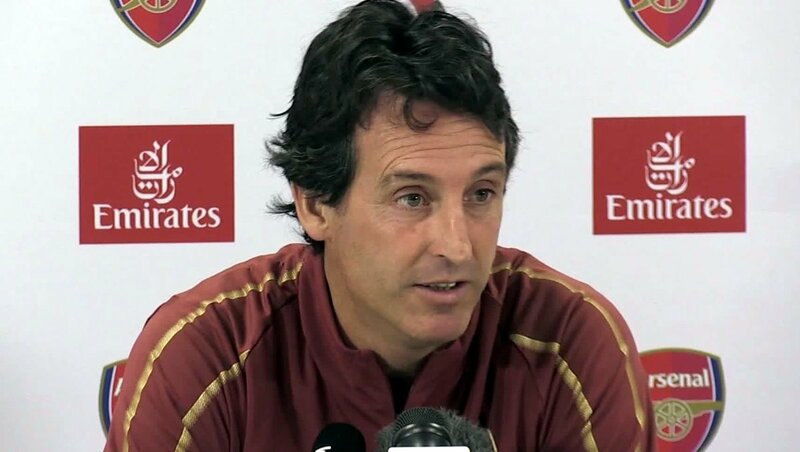 Unai Emery has been tasked with steering Arsenal back into the top four this season as they look to try and secure Champions League qualification for the first time in two years. However, former Newcastle United and England winger Waddle seems to think that it is already game over for the Gunners in the race for a top-four finish. Speaking during BBC Radio 5 live‘s coverage of Sunday’s game, Waddle said: “Arsenal were so poor second half and it doesn’t matter how much you cost or what your name is, you have to work hard, and the two strikers have let Arsenal down tonight. “They could’ve at least chased the defenders to try and get on the ball but they did nothing. Very poor. Arsenal will attempt to bounce back when they take on Huddersfield Town away from home next weekend. The north London side have missed out on Champions League qualification for the last two seasons running.